Propolis oral spray for mouth and throat is recommended for mouth care of oral cavity mucosa, to relieve the respiration and refreshing the breath. 15% extract of Propolis 20% in propylene glycol, vitamin C 0.2%, menthol 0.003%, vegetable glycerol, honey, purified water, potassium sorbate. Propolis oral spray for mouth and throat helps in sustaining the physiological function of throat and provides oral cavity mucosa protection. Honey is a well known for its nutritional properties and also, as a rich source of biologically active components. It is natural sweetener with exquisite nourishing value, helping to sustain the resistance capacity of organism and empowering the action of propolis in the spray. The menthol provides long lasting cooling sensation and freshness in the mouth. Spray the liquid twice to three times daily in the oral cavity or throat mucous membrane or even more frequently, if needed. Shake well before each use! Recommended daily dose should not be exceeded. 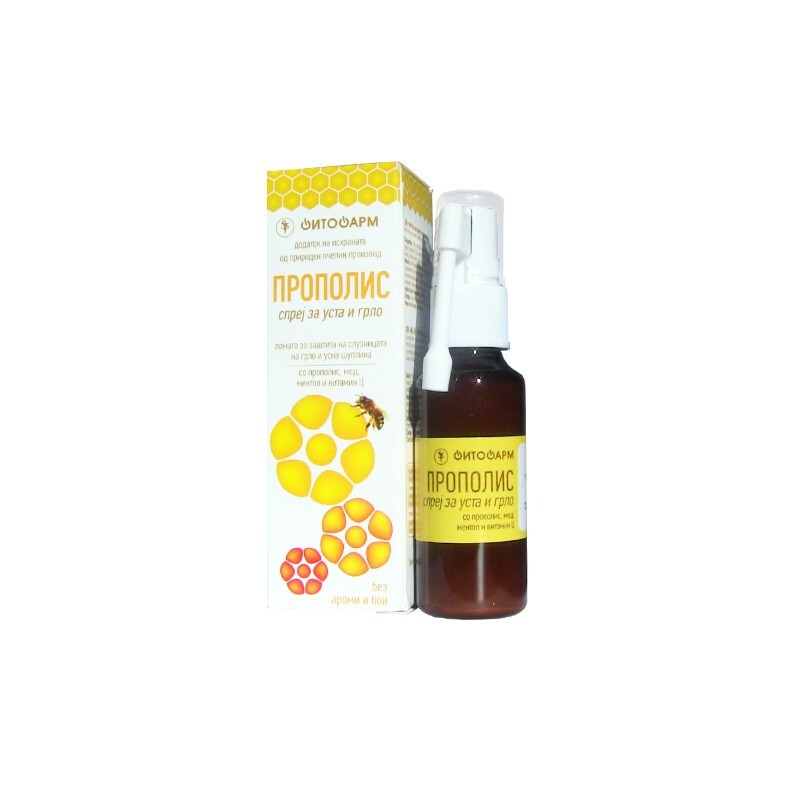 Propolis oral spray for mouth and throat should not be used by persons allergic to propolis or to any ingredient included in the composition of this product. 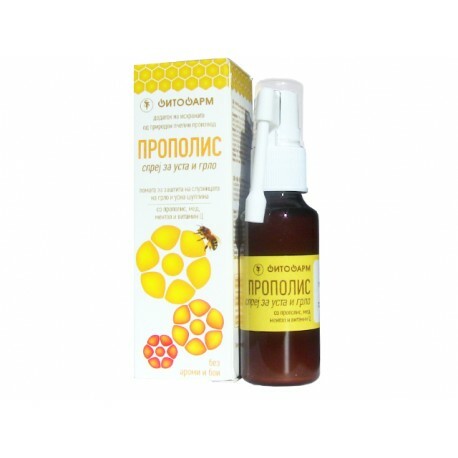 Packaging: 30 ml of propolis oral spray in bottle with mechanical spraying device/ folding box.